that left Twitterati in a frenzy. The tweet led to a barrage of guesses by netizens who wondered what the Superstar was implying. Minutes later, Hrithik Roshan also took to other social media platforms replicating his thoughts in a creative. 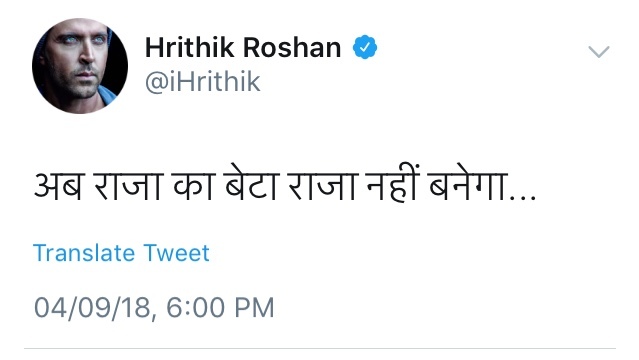 Hrithik Roshan’s social media posts gave fodder for thought to his 50+ million followers across social media. His post not only created immense intrigue but also has his fans excited for a treat from the Superstar.